• To understand the nature of learning process and the real value of life. • To develop skills involved in dealing with the academic and personality. • To receive individual and parental care attention from the teachers. • To share their experiences and to expose their own individual talents bravely. • To strengthen their abilities by proper guiding through club activities. • To shape their future in a right and bright way by inculcating the sense of civic, co-operation, team spirit etc., with full enthusiasm. • To cultivate the habit of regularity and human skills. • To achieve their dreams in a honest way. Generally, the students are not only trained academic alone. They are also trained and taken special care in shaping and developing the talent of our children by providing various opportunities, physical education, yoga, Newspaper in Education, Karate, Chess, Abacus, Classical dance and Craft work occupies a prominent place in our school curriculum. 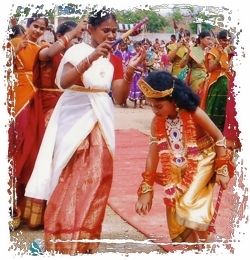 The co-curricular activities of our school gained further momentum during this year. 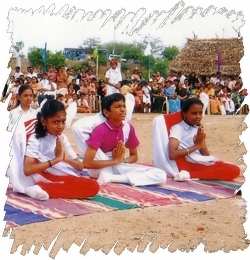 Large number of students participated in the competition such as drawing, recitation, dance and fancy dress competitions. The important days and the festivals were celebrated in grand manner. Our school students also participated interschool competitions. They have won many prizes.